Raghuram Rajan, the erstwhile ‘Rockstar’ Governor of the Reserve Bank of India, came to India with an awesome reputation. He was a Professor of Finance at the prestigious Chicago University, had served as Chief Economist in the IMF, and had written widely acclaimed books on the western financial system. Above all, at a time the US ‘Goldilocks’ economy was chugging along merrily as if there was no morrow, with economic growth and asset prices at an all-time high, a strong dollar despite growing current account imbalances, and low and stable consumer price inflation despite seemingly growing above potential, he was one of the few economists to presciently draw attention to the dangers implicit in the US financial system. This was as early as 2005 in his now celebrated paper presented at the annual Jackson Hole gathering of central bankers from around the world. Rajan joined the RBI during the US Federal Reserve’s ‘taper tantrums’, which exposed India, with its weak macroeconomic fundamentals of slowing growth, mounting current account deficits, high consumer price inflation, and weakening currency, as one of the ‘fragile 5’ major emerging markets. As things turned out Rajan had a rather bewildering, controversial and unceremonious exit after completing his three-year term, and by all accounts a successful stint as all these macroeconomic parameters had stabilized. There was consequently widespread speculation regarding his exit at the time, especially since the term of most previous Governors had been extended beyond the original three years. Was it because of differences in monetary policy with the government, in particular over the constitution of the Monetary Policy Committee and unwillingness to bend on interest rate setting? Was it his resolve to get to the bottom of the growing Non-Performing Assets (NPAs) of the Indian banking system, and the associated Corporate cronyism that he hinted at? Did the government feel that he was too independent a central banker, a bit too hot to handle on account of his international standing? After all, he was appointed by the previous UPA government, and the new NDA government may have wanted its own man in Mint Street. As head of a major institution not only did he not seem to genuflect to Hindutva, but seemed to publicly join the ‘intolerance’ chorus. Or was he constrained to depart as he could no longer extend his leave of absence from Chicago University where he was Professor? Rajan’s studious, gracious silence on the subject, beyond the bland statement that he would have liked to continue if he had reached a mutually acceptable agreement with the government, added to the mystery and his stature. While some clarity seemed to emerge from events following Rajan’s departure, in particular demonetization that he opposed, and bank recapitalization that appeared to let big defaulters/large promoters off the hook, his book was eagerly awaited for a definitive answer on the subject. After all, his immediate predecessor at the Reserve Bank had recently written a ‘tell all’ book (D. Subbarao, Who Moved My Interest Rate? ), as had several other former Governors. As it turns out, the book consists almost entirely of previously published short or abridged pieces, and speeches, with the briefest of commentaries to elucidate their context. The seven-and-a-half-page introduction also adds little to what we already know about the circumstances surrounding his exit. Indeed, his statement that both governments gave him a free hand will confound the reader further. He warns the reader in the introduction not to expect a ‘tell all’ book. It is nonetheless a useful compendium of the views of a distinguished and well regarded Professor of Finance of a top university on his hands-on experience with central banking, the equivalent of a Ben Bernanke at the US Federal Reserve, although the latter’s academic turf was central banking rather than finance. These views, that collectively constitute his intellectual legacy at the RBI, otherwise lie scattered amidst several pages of various articles and sound bites. Understandably, his tenure as Governor at the Reserve Bank of India takes centre-stage in the first section of the book. The few pages at the end in sections two and three seem like a distraction, devoted as they are to the Global Financial Crisis (GFC), including extracts from his famous Jackson Hole Paper, Financial Sector regulatory reform (where he takes a balanced position between stifling over regulation and soft touch deregulation) and sundry pieces on Economic Models, quick fix solutions for complex economic problems, Foreign Aid (he is critical of all these; very appropriately he draws attention to a 1997 cartoon by the famous cartoonist R.K. Laxman that the solution for every ill was for RBI to cut interest rates by 100 basis points! ), debt relief for developing countries, and how to ride the commodity cycle. Apart from his controversial exit, Rajan’s tenure as Governor is likely to be remembered most of all for RBI’s effective shift of focus from multiple objectives to inflation targeting, from using the wholesale price index as the benchmark for monetary policy to consumer price inflation (which is what central banks all over the world work with), and for the formation of the Monetary Policy Committee (MPC). He points out that he was the last Governor to set RBI’s benchmark interest rates himself. These are now decided based on the decision of the MPC chaired by the Governor, where he now retains only the casting vote. Rajan has clarified that he is fully on board with this decision. Rajan believes that while both growth and inflation are equally important, the central bank’s contribution to fostering sustainable growth is best done by focusing on monetary stability, i.e., concentrating on inflation. Targeting growth directly lies within the realm of fiscal policy. India has suffered from high, double digit inflation over the last few decades. Under Rajan’s tenure RBI moved to a regime of explicit inflation targeting, and entered into an agreement with the government for ensuring that CPI remains within a band of 2–6%. This happened at a time when central bankers all over the world were contemplating moving away from inflation targeting as they increasingly found their instruments too blunt in keeping inflation within targeted limits, and as risks to the economy shifted from consumer price inflation, which remained low and stable across business cycles, to asset price inflation. To be fair, Rajan’s inflation targeting is very flexible, with no sharp Volcker like movements in benchmark interest rates. Interest rates can also target asset prices, savings, etc. Multiple objectives for a single policy instrument need not violate the Tinbergen rule. C. Rangarajan, erstwhile Governor RBI and Chairman of the Prime Minister’s Economic Advisory Council interpreted RBI’s new inflation targeting framework as one where inflation is the primary objective when inflation is outside the band, with growth or other objectives becoming the primary target when it is within range. During Rajan’s tenure consumer price inflation was indeed reined in, from a high of around 10% to within the policy band. So, one should not take credit away from him for the successful launch of the new inflation targeting framework. At the same time, it would be well to keep in mind that consumer price inflation has declined all over the world during the last 2-3 decades, in both developed and developing countries, even as asset price inflation has spun out of control. The reason for this is not very clear. Attention is frequently drawn to the entry of China and India in the labour market for goods and services respectively, resulting in productivity growing faster than demand, improved infrastructure, the movement towards freer trade, and financial deregulation. For some reason India remained an outlier, partly because it remained one of the most closed major emerging markets, poor infrastructure and its reliance on POL imports, whose price has become increasingly volatile and linked to food prices. As Rajan points out, food prices have been the major determinant of inflation in India, at least in recent times. The recent decline in inflation in India has closely tracked the dramatic decline in international oil prices. Rajan omits any reference to this hand of God in the recent success with inflation targeting, indeed for India’s rescue from the ‘fragile five’ and the current stable macroeconomic triad of low inflation, current account deficit and fiscal deficit. The fact that macroeconomic stability was accompanied by falling growth indicates that this stability was more fortuitous than virtuous. Should oil prices rise sharply again, as they presently threaten to do, the Reserve Bank might find it hard to keep inflation within the targeted band and maintain macroeconomic stability without doing a Volcker, which Rajan is averse to doing. Indeed, it is debatable if even a Volcker would work in these circumstances when the source of inflation stems from the supply side, which Rajan recognizes. The jury is therefore still out on India’s new inflation targeting framework. 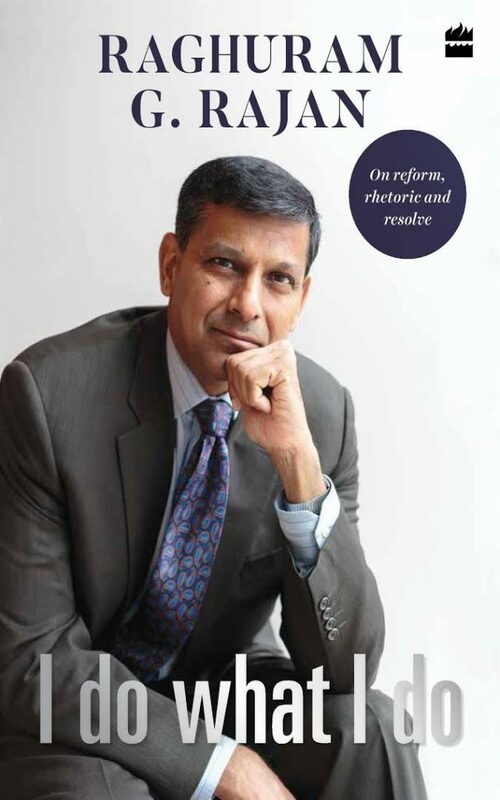 Rajan covers a wide range of issues in his book other than inflation and the monetary framework. Some of the more notable ones are the Indian banking system, financial inclusion, the Indian economy (he sees no structural weakness in the Indian economy; he is critical of the ‘make in India’ initiative which he rightly feels should actually be ‘make for India’, leveraging India’s consumption orientation) the global economy (there is extended discussion on global spillovers and international monetary cooperation)and institutional issues such as independence of the central bank. He provides a valuable and informed critique of several key recommendations of the Financial Sector Legislative Reforms Commission (FSLRC), especially of the suggestion to merge all regulation under a new United Financial Agency, the tendency to subject all financial decisions to judicial oversight, and its tendency to fix even those aspects of the financial structure that aren’t broke, such as the RBI. It is not possible to do justice to all these themes in the course of a short book review beyond flagging a few issues. Rajan’s priorities for reforming the Indian banking system derive from his understanding of the grand bargains underlying Indian banking, through which banks got privileged access to low cost funds in return for taking on certain social obligations. This bargain is no longer sustainable in view of the growing investment needs of a fast-growing large economy. Banking reform entails banks becoming more competitive through freer entry of private banks, broadening and deepening of financial markets, and freeing public sector banks, not so much through privatization as from government interference to compete. The litmus test for such freedom would make bureaucratic eyes pop out of their heads: ‘when the Department of Financial Services is finally closed down, and its banking functions taken over by bank boards and the Bank Board Bureau’. Rajan took charge of the Reserve Bank at a time distress in the Indian banking system, dominated as it is by the public sector, was reaching a tipping point. It was so overstretched that credit was drying up and recapitalization appeared unavoidable. The recapitalization has since been announced. Even a cursory glance at chapter 6 of the book would reveal how difficult it would have been for Rajan, as the regulatory head of the banking system, and one who was not above quietly but firmly saying ‘No’ to the government when necessary, to agree to the manner in which the recapitalization is being done: yet another taxpayer bailout without any assurance of similar distress and bail out in future. The history of Indian banking is replete with periodic cycles of bank distress followed by tax payer bailouts. Rajan makes a distinction between loans turning sour for bonafide reasons, on account of poor or motivated credit appraisal by public sector banks, bad management decisions, diversion of money and outright fraud. While loans gone bad for bonafide reasons, such as during a business downturn, need to be treated empathetically, according to Rajan the bigger problem is the cozy-crony-relationship between government, banks and large, high profile promoters that banks are afraid to touch, resulting in the ever greening of bad loans. One gets the impression that Rajan would have made an earnest attempt, without fear or favour, to hold the big fish to account and sever this unholy nexus once and for all as part of any bailout and bank recapitalization. This would have entailed politically challenging high-profile casualties. The proof of the pudding would of course have been in the eating thereof. As things turned out the pudding was put in cold storage. Rajan is at pains to underscore that independence of the central bank cannot, and should never be absolute as the central bank must operate within, indeed support, the overall framework of government policies. He nevertheless makes a strong case for arm’s length independence for macroeconomic stability, as monetary policy levers should not be, or even seem to be, controlled by the Treasury, even though the objectives of both the Treasury and the central bank are ultimately the same. He sees the Governor as the country’s chief risk manager mediating between different pressure groups with competing stakes such as savers and borrowers, importers and exporters, who have divergent views on interest rates. He is very complimentary regarding the talent and skill pool within the RBI. It has the ability to discharge this risk management function responsibly. The Governor therefore should not be seen as just another bureaucrat. Although in practice the Governor has had direct access to both the Prime Minister and Finance Minister, his status needs to be clarified in the official order of precedence and not left undefined and ambiguous as is the case presently. There is good reason why Finance Ministers and Central Bank Governors of the world’s biggest economies sit side by side on the same high table in G 20 meetings. Finance Ministers rarely speak on their country’s monetary policy, leaving this to their Governors, indicative of the arm’s length between the Treasury and the central bank essential for macroeconomic stability. In India not just the Finance Minister, but a whole range of authorities, including senior bureaucrats, publicly voice their views on what the Reserve Bank should do, and how interest rates should move. The institution of the Governor needs the stature to firmly resist specific government policies while at the same time suggest better alternatives to achieve the desired objective. Rajan’s warning that since some Governors will always be more resolute than others it is dangerous to have a de facto powerful position with low de jure status became painfully prophetic following his departure when the Governor suddenly seemed to become an extended arm of the Treasury. The rock star status of India’s central bank governor was strangely out of tune with international developments. The GFC showed that central bankers were all too mortal. Alan Greenspan, once described as the master of the universe, was cut to size. The Reserve Bank of India however was one of the few major central banks that emerged unscathed from the GFC. It deployed macro-prudential tools to target asset bubbles, while western central bankers were mostly turning a Nelson’s eye. It stuck to monetary rectitude in its wake, despite constant criticism that it was ‘behind the curve’, even as central banks in advanced economies flogged monetary policy to its limits and fuelled new asset bubbles. Meek acquiescence of government’s poorly thought through demonetization, and more recently recapitalization of banks without cutting the Gordian Knot, has now undermined the stature of the institution of the RBI Governor in the popular imagination and brought it down to earth as elsewhere. Alok Sheel, member of the Indian Administrative Service (retired), was formerly Additional Chief Secretary, Kerala, and Secretary, Prime Minister’s Economic Advisory Council.